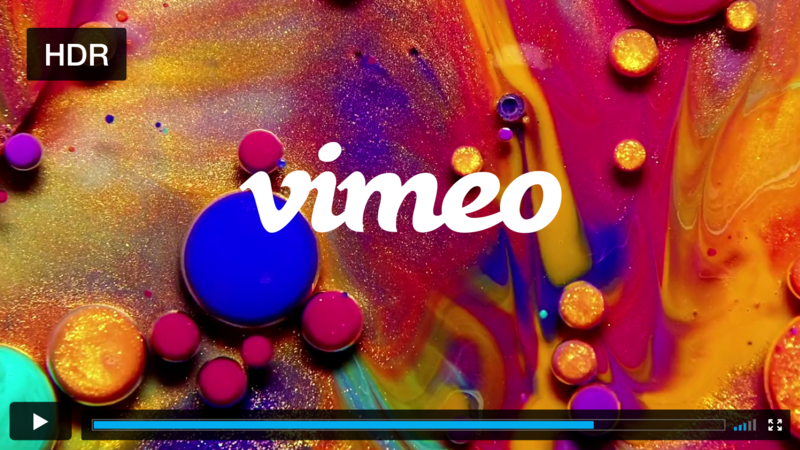 Today, Vimeo announced that we’re launching support for HDR (high dynamic range) for videos, available across our entire product offering. Filmmakers and editors who shoot or master their video in HDR can now upload, host, watch, or sell their videos on Vimeo, and in the highest color accuracy possible. Read more about HDR on our blog.